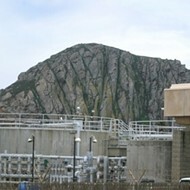 In an official resolution, the Los Osos Community Services District vowed to help the subjects of Regional Water Quality Control Board prosecution. On Feb. 8, the perennially controversial government body acted on that cause by voting 4-1 to pick up a portion of defense lawyer Shaunna Sullivan's legal purse. SCHICKER SHOCK : CSD director Lisa Schicker endured criticism from political opponents for voting to help finance the legal defense of the Los Osos 45. # Defendants in the water board's ongoing administrative hearings media-labeled as the Los Osos 45 recently hired Sullivan to handle the appeal of the cease-and-desist orders dished out by the board in December. The hearings began on Dec. 14. "Individuals in Los Osos are faced with orders issued without due process that deprive citizens of the right to live in their homes if a property owners' assessment vote fails," Sullivan wrote in a faxed statement. "The water board doesn't have to do this they never went after the county for allowing more homes to be built [in the prohibition zone]," CSD director Lisa Schicker said of the ongoing prosecution. "Now they want to go after individuals with legal septic tanks? To us, it seems so wrong. It's crazy." The CSD's move to put money toward Sullivan drew applause from many and also triggered a tense debate in the nitrate-crazed bedroom community about the propriety of this use of taxpayer funds. To make matters more difficult, the agency's bankruptcy case the largest per-capita in California history continues to languish in a Santa Barbara court. High profile critics of the CSD promptly pointed out that the district remains dangerously close to insolvency. "This is just another item for the grand jury," said former board member Richard LeGros. "People are angry about this particularly those who live outside of the prohibition zone." LeGros offered two main concerns: First, critics claim that the agency's front office fell short in providing the board with a full staff report on the hire. That document would look into budgetary matters and delve into potential conflicts of interest. Furthermore, opponents assert that the CSD hasn't said how it will pay for its share of Sullivan's fee. Acting CSD general manager Annajane Hugh was unavailable for comment and her temporary stand- in, utilities manager George Milanes, stated that he wasn't qualified to speak on the situation. Meanwhile, earlier the week of Feb. 12, CSD officials reported, the fiscal responsibility group Taxpayers Watch which moved to dissolve the agency last year filed a public records request to examine the board's conduct. Calls to the watchdog group's office were not returned as of press time. The Los Osos 45's legal arm began passing around the collection plate last fall to bankroll Sullivan's legal fee, which runs around $250 per hour. Sullivan confirmed that was indeed her hourly rate but wouldn't comment on what she planned to actually bill. Cease-and-desist-order recipient and defense fund organizer Alan Martyn said that the group managed to secure a large portion of the needed funding. The CSD resolution, he said, only closed out the missing 25 percent. LeGros and others maintain that their objection hinges purely on taxpayer rights concerns and doesn't implicitly support or oppose the actions of the water board. However, current board members called the outcry and recent public records request a scare tactic. 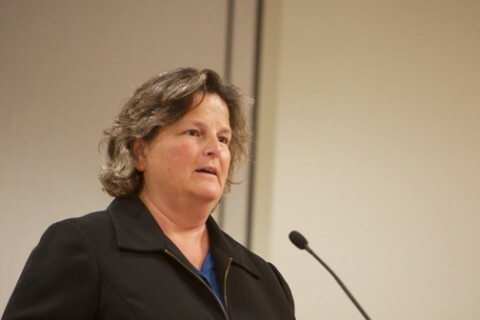 Los Osos 45 leader Martyn characterized criticism of the CSD's maneuver as "sour grapes," since many of the community services district's most vocal critics are former directors and political opponents themselves. Schicker argued that the Sullivan hiring will ideally save the public money by curbing the spread of water board prosecution and further claims in bankruptcy court. Water board prosecution team member Matt Thompson expressed no immediate plans by the regulatory agency to move past the Los Osos 45. Schicker said that the board felt it would be more economical to tack on to the appeal Sullivan filed in mid-January, rather than start its own down the road. For Sullivan, any legal action involving Los Osos requires a great deal of research into the codices of the town's saga-like back story a volume of paperwork probably sufficient to restock the Library of Alexandria. "The CSD hasn't paid me for anything yet," Sullivan said. "Most of what's been done so far has been on my dime. "It's been frustrating donating my services to a cause and getting ripped for it (in the media)." The lone dissenting vote came from junior director Joe Sparks, who received the most votes of the three board members put in place by the Nov. 7 election. The four CSD directors who voted in favor of hiring Sullivan were all members of the board in control when the sewer project broke down in the winter of 2005. "They're populists they have no problem using public funds to fight activist battles," LeGros said. "It's a gross violation of government code." "If the majority of the district votes to support an issue by electing this board, then we feel we're justified," Schicker responded.